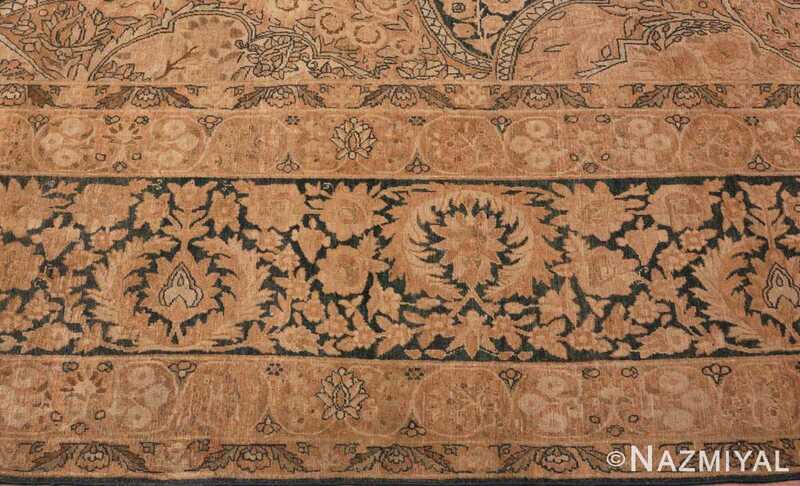 Finely Woven Large Palatial Oversized Antique Oriental Persian Kerman Rug, Country of Origin / Rug Type: Persian Rugs, Circa Date: Late 19th Century – Some things just get better with age, and this beautiful antique Persian Kerman rug is no exception. The colors of this exquisite palatial oversized rug may have faded, but this has allowed time to bring out the fine elements in extraordinary detail. 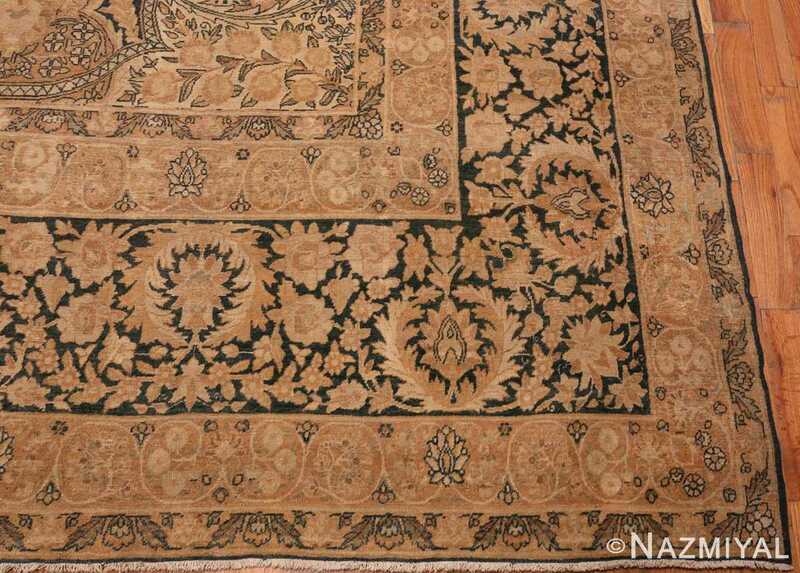 This unusually fine and decorative antique Oriental rug brings a sense of timelessness, and it sure to be a treasure in any home or office for many years to come. 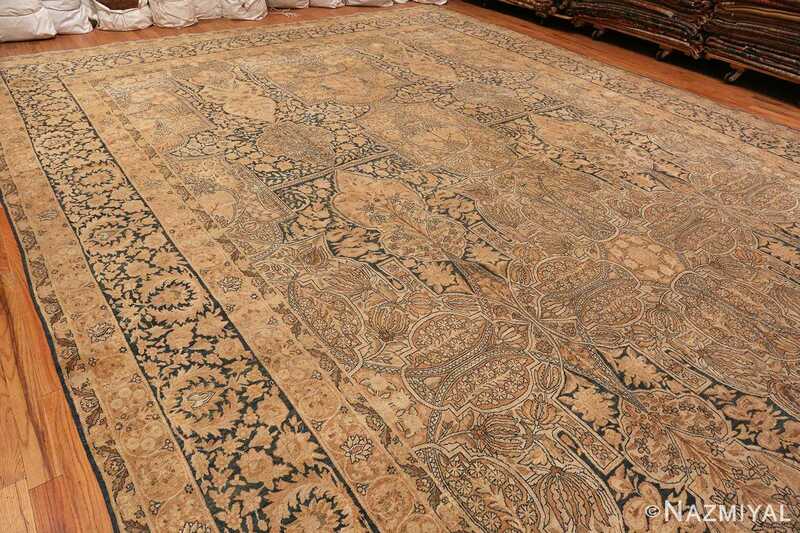 This antique Persian carpet has many stories to tell woven throughout its beautiful floral garden scene. 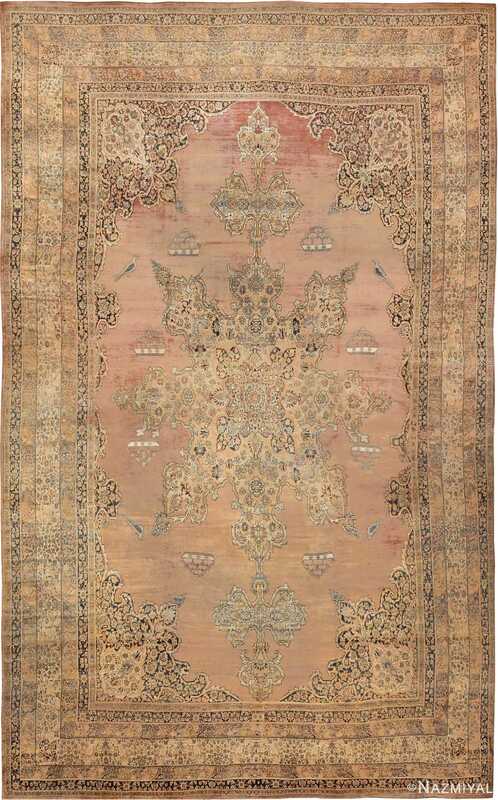 This elegant fine oversized antique Oriental Persian Kerman rug has a central aspect to it but is not a restrictive one. This is mostly due to the combination of colors and design which give a feel that is far more like an allover design than a central medallion one. 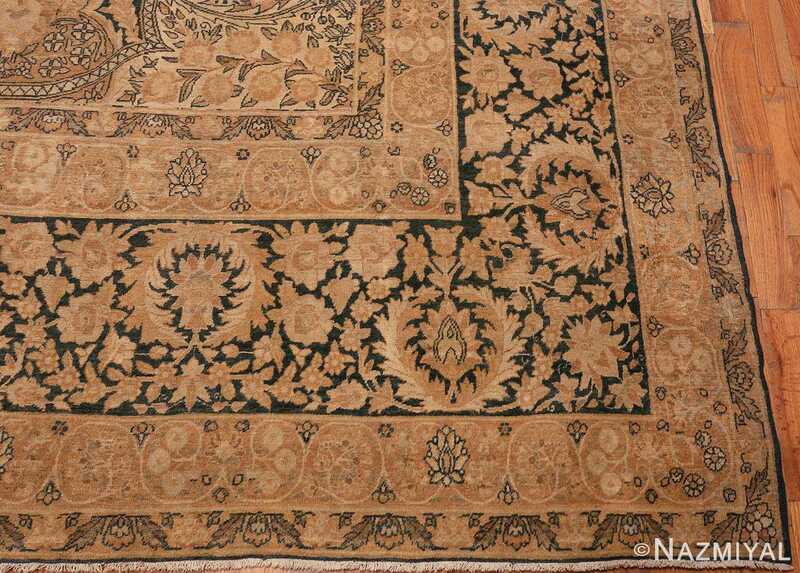 The main border is understated, as compared to the ground of the rug. 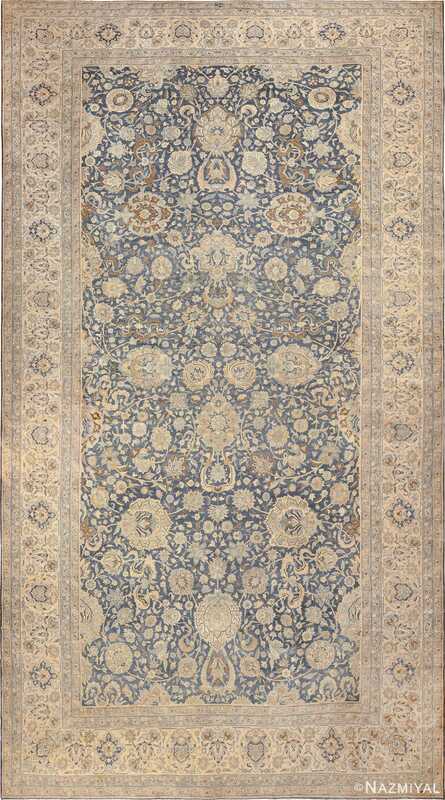 The rug design patterns are small and refined in comparison to the overall size to the rug, This gives it a sense of formality that is off set by the casual feel of the warm and lighter colors. The boldness of the geometric shapes resemble the formal gardens that once adorned the entrances of the grand palaces of the Persian Empire. 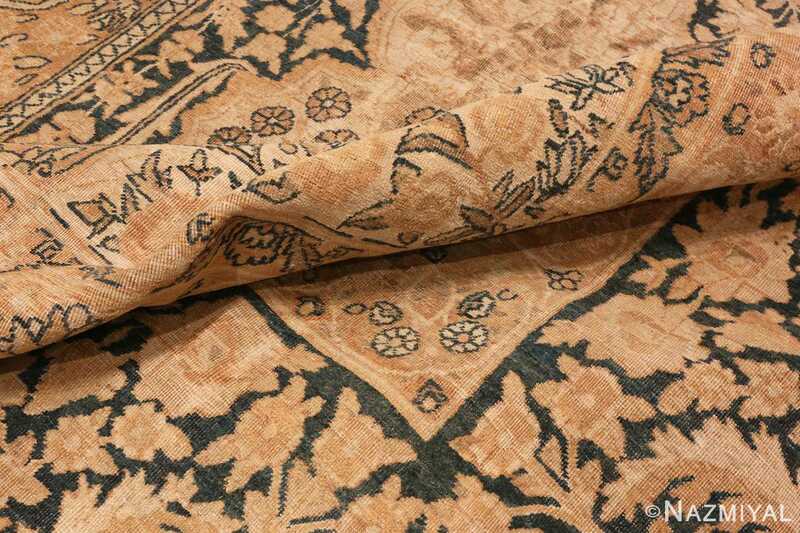 The rug features a such a meticulous attention to detail. Every element was carefully stitched into place. 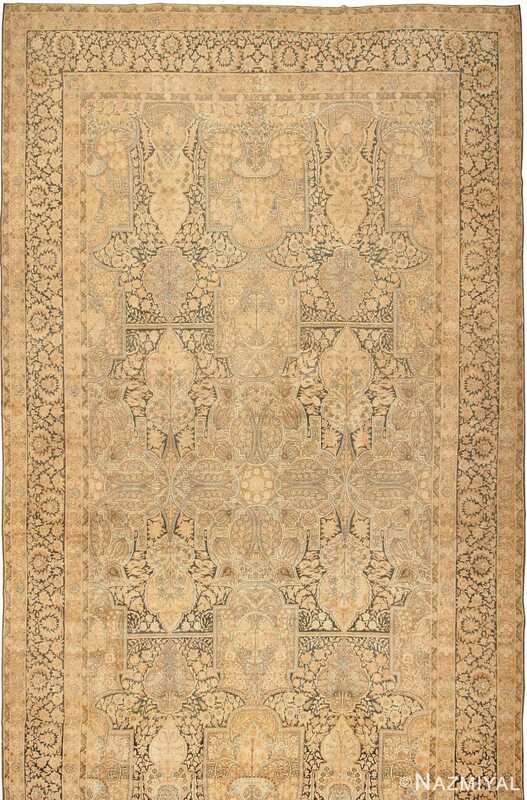 The arrangement of the motifs draws the eyes along the vertical lines, creating an illusion of added length to the overall artistic impact of the antique rug. 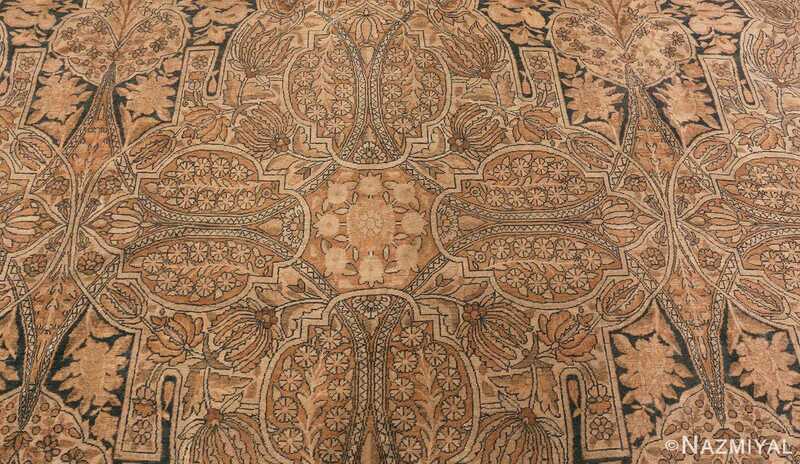 As one examines the design of this impressive oversized antique Oriental Persian Kerman rug, they get a sense that they are only seeing a part of the whole picture that has been captured and framed to preserve it for the ages to enjoy. 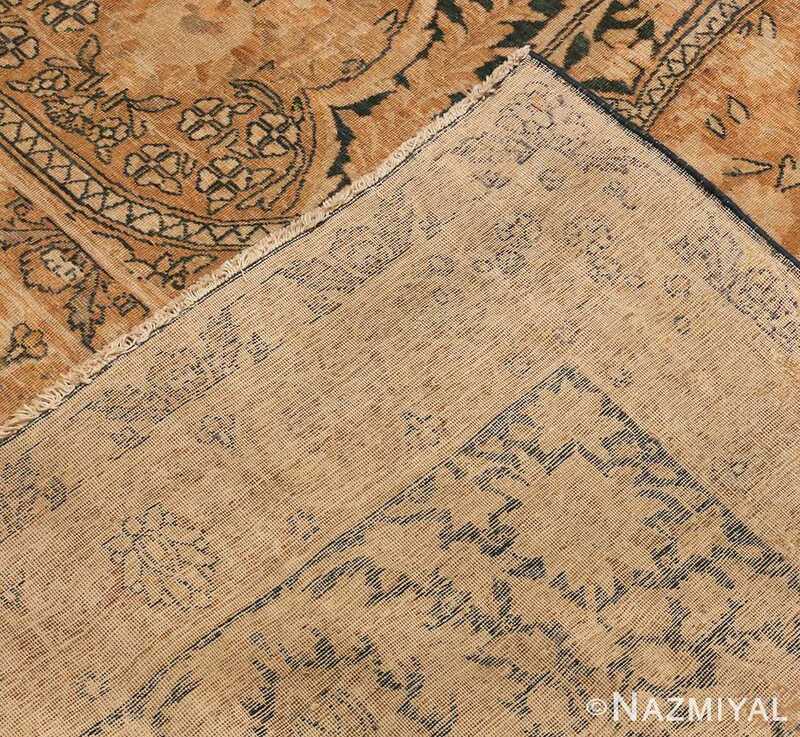 The soft warm colors of the antique carpet have faded to a pallet of ivories, wheat and subtle shades of earth tones. These light tones are set against the richer background colors. 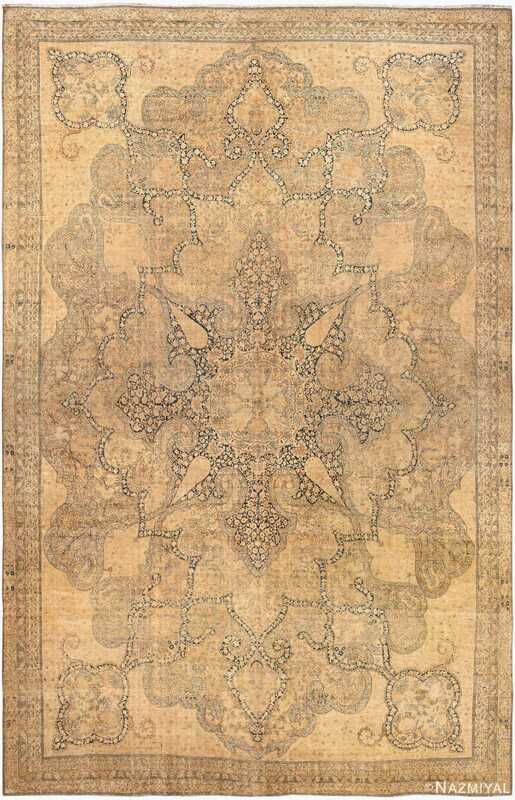 This gives the rug a harmonious grounded feel that would work well with any number of color schemes and interior decor styles. 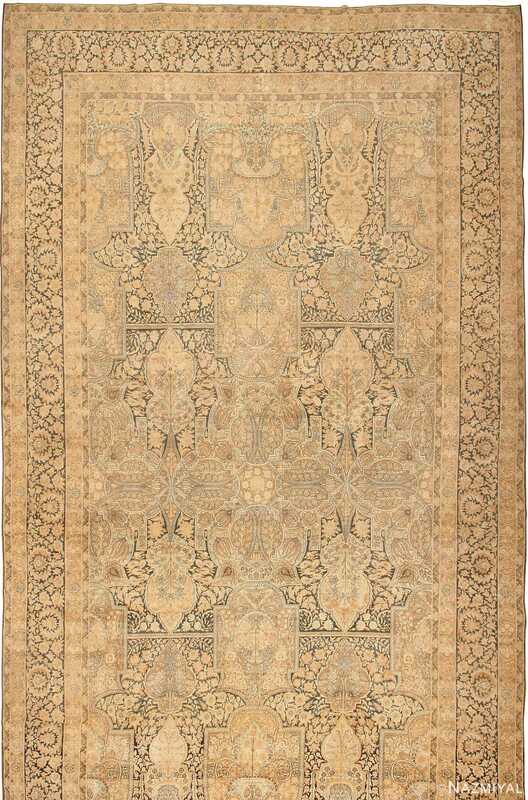 This rug has a sense of grand elegance that would add a sense of agelessness to any room.